We are an innovative and creative web design agency in Toronto that will help you achieve the next level of success. Starting a new business? A website is must for any business that has a physical presence in Canada. With our business optimized website design, we help you showcase your small(gigantic) business online and generate leads or drive walk-in customers to your business. We ensure that your website is well equipped with fabulous functionalities, powerful plugins, and attractive designs – boosting your business to greater heights. Get ready to ‘cling’ to your inbox and ‘ring ring’ on your phone. What makes us your premier choice? In the modern era of the web, just having a pretty site really isn’t enough. 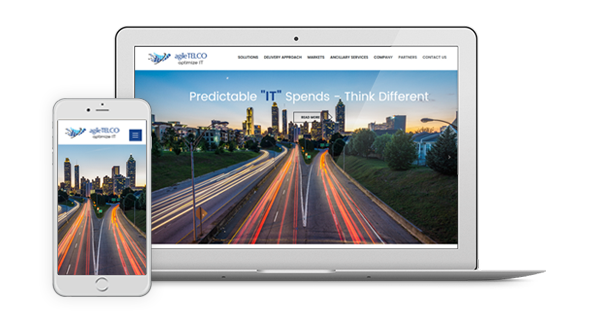 Our responsive website design ensures seamless user experience on all devices and platforms. We aim at developing quality solutions for our clients. In each of our creations, you can find pristine quality and customer satisfaction. Speed means a lot when it comes to pleasing user experience. Also, speedy websites are loved by search engines. So, to make your website best at everything, we ensure that it is light, fast and secure. Search Engine Optimisation and maximum visibility form the foundations of our work. All our developers use HTML5 and CSS3, and have an in-depth knowledge of Search Engine Optimisation (SEO), to ensure that all our sites are built with maximum visibility in mind. The perfect solution doesn’t have to be heavy on the budget. We work on curating an exceptional balance between client’s budget and our deliverables, thus providing a lovely website without compromising on quality or usability. Our clients are guided by experienced team through a strategic process, goal is to ease the complexity and engagement for our customers. Having trouble deciding on a package or need a custom quote? Contact us using the form below and one of our design consultants will guide you through your decision. Want to get more pings and rings? Contact us today for a business website design. Does your company work all over Canada? We are located in Toronto. But we have clients from all over Canada including Mississauga, Brampton, Ottawa and Vancouver. We are comfortable communicating with you via email, phone or whatever else is convenient for you. If you are in GTA, you are glad to drop-in to our office for a free consultation. Designing a basic website takes about 2 to 3 weeks. Of course, the more complex the project is, the longer it will take to finish. Will my site be search engine optimised? We are experts at search engine optimisation and each of our websites follows best practices to get you maximum organic reach. Given how competitive the industry is, you might consider our professional SEO services. We have standard packages to help you choose fast but to truly give you a quote, We need to know about your requirements. Please share your project requirements and We will give you a fixed rate custom quote that’s within your budget and exceeds to your expectations! No hidden fees or no surprise invoice at the end of project delivery. Will my website be displayed properly on mobile devices? Yes. Every website we design is fully responsive and adjusts seamlessly across different screen sizes. Do you provide training to your clients? Yes. We provide detailed training on your CMS so that you can manage and update the content of your website on your own. Sure! We can provide you access to your site as it gets built on our development server. You can see how your site is getting developed and provide feedback on the fly. Once you approve the final version of the site, we make it live. Do you provide ongoing website support? Yes, we have wide range of support and maintenance option for ongoing support. Our team of professionals can ensure that your website is always fresh and up-to-date while you focus on your business!